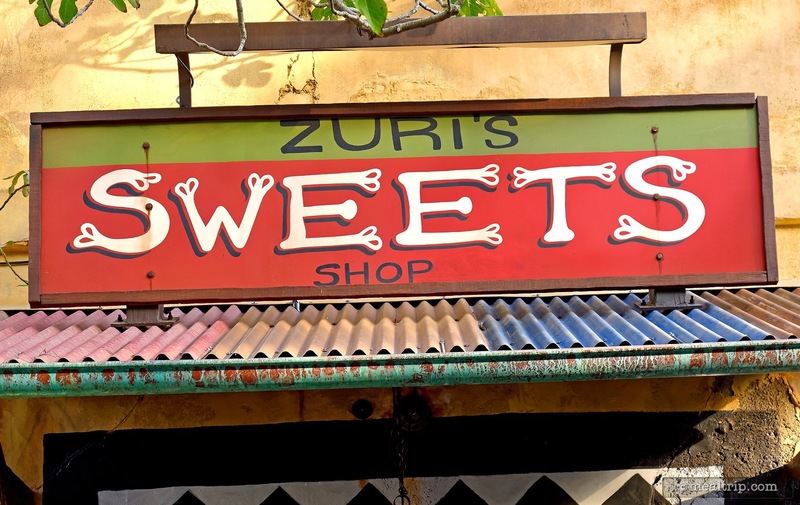 The Zuri's Sweets Shop listing is a Grab-and-Go Counter dining location at Animal Kingdom featuring Dessert or Ice Cream and Confectionery cuisine. There are 2 photos in the Mealtrip photo gallery for this location and dining period. The Zuri's Sweets Shop listing currently has a score of out of 100. Click here to read all of the reviews for this location, or log in to Mealtrip.com to add your own review for Zuri's Sweets Shop. 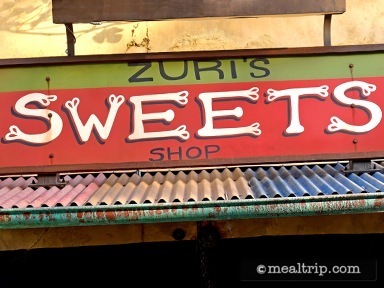 The main sign above the main entrance to Zuri's Sweets Shop. 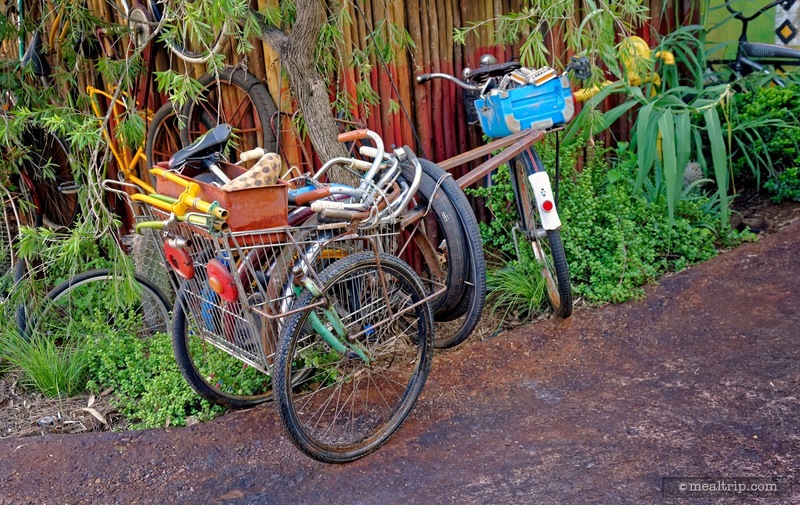 A three wheeled bike outside Zuri's Sweets Shop. I wonder if this is how Miss Zuri gets to work each morning?